Tasso is an environmentally conscious company. It is in our DNA. We have a proactive approach to reducing our impact on the environment. We systematically map and analyse our data of emissions, waste, energy- and water consumption in order to keep track of the development. Tasso is participating in the 3 year project starting in 2018 "From Global Goals to Local Business". The project is facilitated by The Confederation of Danish Industry. The aim of the project is for the 21 participatig companies to integrate The UN Sustainable Development Goals (SDG's) into the company's strategy to ensure a sustainable development at the same time as creating value to the business. The SDG's are an ambitious plan of action for people and planet. They are universal, applying to all nations and people, seeking to tackle inequality. They are wide ranging including ending poverty and hunger, ensuring sustainable consumption and production, and promoting peaceful and inclusive societies. The agreement on a sustainable development agenda expresses a consensus by all governments that the SDGs can only be achieved with involvement of the private sector working alongside Governments, Parliaments, the UN system and other international institutions, local authorities, civil society, the scientific and academic community – and all people. Hence, Governments in the Post-2015 declaration “…call on all businesses to apply their creativity and innovation to solving sustainable development challenges”. Manufacturing of cast iron includes some highly energy-consuming processes and this is why reduction of energy consumption is our priority at Tasso. We work systematically with the SDG no. 12 "Responsible Consumption and Production" because this is where we can make a real difference to the environment. It is our ambition to inspire customers, suppliers and other interested to do the same. 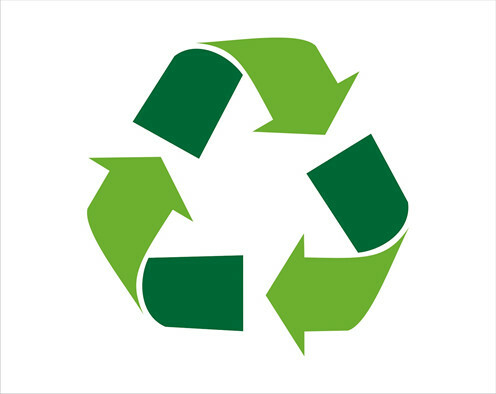 Recycling is an integral part of our business as our products are made mainly from steel and iron scrap. Instead of letting waste end as landfill, we continuously work on turning more residual products into resources for new products. One result from our initiatives to reduce waste is that slag from our foundry is now recycled as material for construction of new buildings. Management as well as employees take part in keeping Tasso a sustainable business. The environmental diploma is awarded by MiljøForum Fyn for exceptional environmental initiatives. Cast iron is 100% recyclable and is highly recycled. Cast iron can be recycled at the end of life to form products that are of the same standard and quality as the original material. The scrap collection infrastructure is well developed and the most environmental friendly recycling is to sell the cast iron scrap to a local steel scrap trader. The best selling price can be achieved when the worn out application is dismantled correct and the cast iron is separated from other materials. Every tonne of scrap recovered substitutes one tonne of primary steelmaking. This can happen again and again, with existing technology and without degradation of the chemical elements. Tasso, Odense welcomes innovative ideas and student projects.